 The Macomb County Public Works Office has approved the smallest sewer rate increase in almost a decade for residents of 11 Macomb County communities. The board of the Macomb Interceptor Drain Drainage District approved a 2.5% increase in the sewer rate at the board's monthly meeting on Monday, April 8. The rate of increase has now declined for the second consecutive year and is well below the average 15% annual increases experienced by district rate payers from 2010-2016. "Providing good service to our residents at reasonable rates should always be the goal of any government organization," said Macomb County Public Works Commissioner Candice S. Miller. "Since I took office two years ago, we have sharpened our pencils and reviewed all operations of this department, looking for ways to improve services and reduce costs, while still making the necessary and needed investments in our infrastructure." The MIDD board, comprised of Miller, Macomb County Commissioner Robert Mijac and Bryan Santo, director of the Macomb County Dept. of Roads, who serves as an appointee of County Executive Mark Hackel, voted unanimously to approve the $85.6 million operating budget for the MIDD for the fiscal year beginning July 1. The MIDD serves municipal sewer customers in Sterling Heights, Utica, Fraser, New Haven and Clinton, Chesterfield, Macomb, Harrison, Shelby, Lenox and Washington townships. The new budget allows for about $6 million in ongoing inspections, repairs and upgrades to the 15 Mile Road interceptor and related tributaries. The 2.5% increase is an average across the 11 communities. Some residents may see slightly higher or lower increases, based on the volume of sewage from the various communities. The MCPWO serves as the agent for the MIDD, providing day-to-day operations of the district.